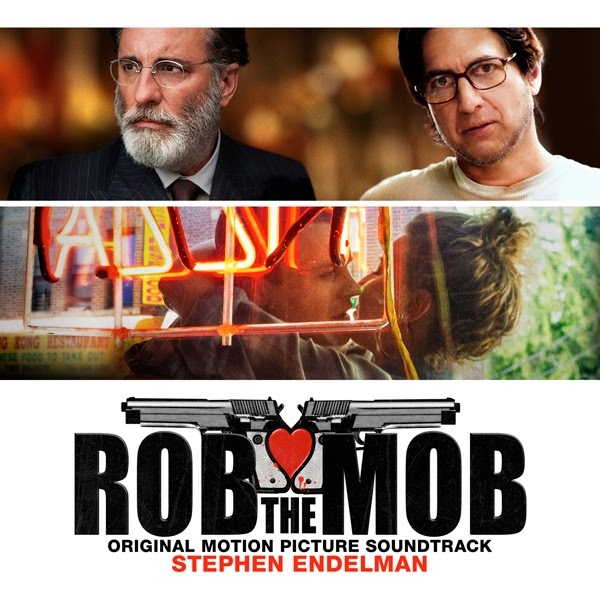 (March 12, 2014– Los Angeles, CA) – Lakeshore Records will release the ROB THE MOB – Original Motion Picture Soundtrack digitally and through Amazon-On-Demand on March 18, 2014. The album features original music by Stephen Endelman (EVELYN, FLIRTING WITH DISASTER) and classic tracks by Deee-Lite, Staple Singers and Wilson Pickett, along with the new cut “Love and the Gun”, which features lyrics by director Raymond DeFelitta and vocals by Tamela D’Amico. ROB THE MOB will be in theaters on March 21, 2014. Grammy-nominated composer, arranger and producer Stephen Endelman has successfully demonstrated his ability to write music and collaborate in a variety of genres. His scores range from lush, classical orchestrations, to contemporary, pop-driven tapestries. In the contemporary music world, Endelman has worked with music icons including Elvis Costello, Sheryl Crow, Robbie Williams, Alanis Morissette, Natalie Cole and soprano Renee Fleming. As a film composer, Endelman has work with Oscar®-lauded filmmakers including David O. Russell (FLIRTING WITH DISASTER), Martin Scorsese (KICKED IN THE HEAD), Irwin Winkler (HOME OF THE BRAVE), David Mamet (REDBELT), Bruce Beresford (EVELYN) and Robert Deniro (A BRONX TALE). Endelman's wide-ranging works have spanned the rich orchestral score for THE ENGLISHMAN WHO WENT UP A HILL, BUT CAME DOWN A MOUNTAIN, to his minimalist, modern score for the hit comedy FLIRTING WITH DISASTER. New York City, 1991. Small-time crooks Tommy (Michael Pitt) and Rosie (Nina Arianda) have two things in common: a crazy-passionate love for one another and—after they’re caught robbing a florist on Valentine’s Day—prison records. Trying to go straight, Rosie lands a job at a debt-collection agency and persuades Tommy to join her. But soon Tommy is skipping his shifts to do something much more interesting—attend the landmark trial of Gambino-family boss John Gotti, where Mafia hit man Sammy "The Bull" Gravano provides graphic testimony that could finally bring down the flamboyant mob kingpin.